My 3/22/15AM sermon, Jesus Is The Door from John 10:7-10 is now online (Small Group Questions here). I had been out of the pulpit a couple of weeks with my India trip, so it was good to return to this series that our church is doing through this Easter season. This particular sermon highlighted how Jesus is exclusive from other religious leaders, how He’s the Savior and how He gives abundant life. So, I’m hoping this sermon was helpful and engaging and promoting a deeper reliance on Him. My 1/25/15AM sermon, Benediction from Romans 16:25-27, is now online (Small Group Questions are available too). This sermon brought to an end my year long preaching through the book of Romans. It was certainly a joy to do this. This sermon, in particular, helped show how the aim of everything God’s done through the Gospel is for His glory. I hope it encourages you in your life. My 8/10/14AM sermon, Religious Unbeliever from Romans 9:1-5, is now online. This sermon sought to explain how relating to God by faith in Christ is the greatest pursuit of your life, even over and above any religious privilege. This is also the passage that many in Crestview will be studying as they review this sermon tonight in Small Groups (Romans 9:1-5 Talksheet). I’m hoping this sermon not only helps promote faith in Jesus, who is God over all and blessed forever, but fires your heart of love for unbelievers. Blessings. My 9/8/13AM sermon, Purposeful, from Philippians 1 is now online. In this sermon, I started introducing our congregation to the new missions direction of our church by orienting to the realities that are their’s in the Gospel. I hope it encouraged them and hope it encourages you if you take time in it. In the evening, we are meeting in Small Groups and studying David Brainerd’s Biography by John Piper. That’s the title of a chapter we recently explored in Small Groups (Gospel Identity, Chapter 6). Many Christians live life as if God is angry with them when they mess up. Much of this understanding isn’t found in the reality that we are adopted sons and daughters of God, but rather in thinking of what are reality was apart from Christ. When we discussed this chapter in small groups, there was an additional article entitled “Is God Angry With Me When I Sin?” The issue has to do with God loving His children, disciplining them and what this looks like. What’s the difference between conviction and condemnation? Conviction might taste bitter to the tongue, but is sweet to the soul. God leads us toward life in Him even if it stings (Ps. 30:5). Condemnation includes a stench of death and hopelessness (Rom. 8:2). Conviction, though pointed at times, lightens the heart and soul of a person (Rom. 2:4). Condemnation is overbearing and heavy upon the soul. It crushes because hope released from that burden falls square on the shoulders of something or someone other than the atoning work of Christ (Rom. 5:9). In conviction, God’s love is seen very clearly. This means it is utterly inspired by love. Condemnation turns everything inward toward self. So, rather than looking to the Lord for covering, provision and redemption, we look to self early and often in our shame and self-pity. Those in Christ have been given the Holy Spirit to lead us into more and more holiness. Conviction is one of God’s sweetest gifts to His children. Rest in His grace and walk in His glorious light! Through conviction by the Holy Spirit, God both saves and sanctifies His children. Today, then, be reminded of what God’s done in the Gospel (maybe even by watching this video) and receive fresh grace from God to make you holy. Our Small Groups just began this curriculum earlier this month. I’ve enjoyed it so far and would recommend it for your study and attention. I believe, like the authors contend, that our default is not to hold firm to the Gospel, but to drift from it. Therefore, we need this reminder of what the Gospel has done in our lives consistently. This is just the type of thing I love discussing in small group, since it lends itself to great application. 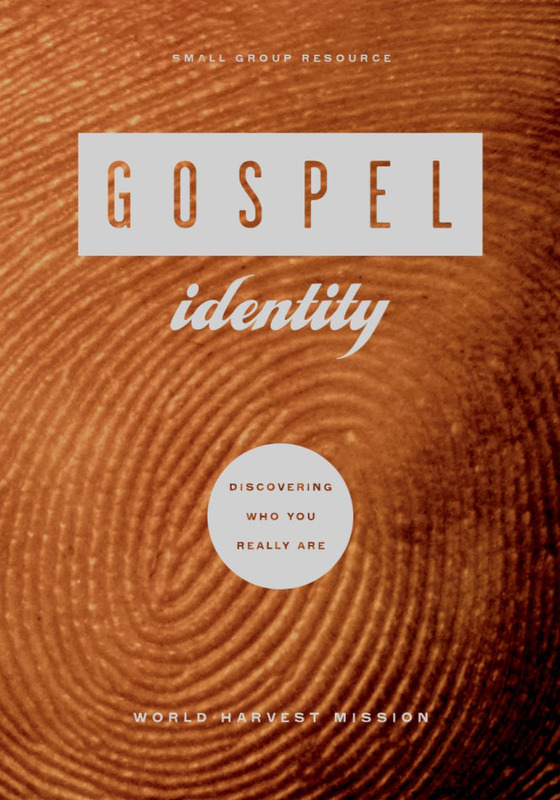 Gospel Identity focuses on the transformation of Christians by the power of the gospel. This ten-session small group study guides participants (and leaders) to discover their need for Jesus, examine the blessings of their new identity in Christ, and explain how those gifts move us outward so others can also experience new life in Jesus. With user-friendly small group activities and questions rooted in Scripture, this small group study (adapted from sections of Gospel Transformation) includes a leader’s guide and is suitable for small groups and individual mentoring. If you have further questions about this resource, drop me an email. You can read a sample chapter here. As I try to wrap up Sunday, 1/13, there are lots of highlights. I really enjoyed teaching my Sunday School class, which overviewed the concept of Missions in the Old Testament. We charted the course of creation to the promise to Abraham to David and the New Covenant. It was a good time and the class did a good bit of work to dig in. My AM sermon from Matthew 9:35-38 entitled God’s Word and God’s Work is online. This sermon sought to unpack the connection between God’s Word and His work, specifically in leading us to be people of compassion, on mission with Him and prayer fervently. 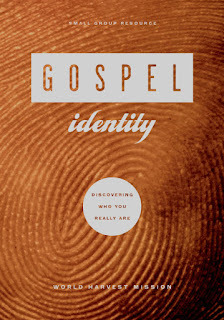 On Sunday PM, we launched a new small group curriculum entitled Gospel Identity. I’m really hoping this study helps orient our people in the Gospel in deeper, lasting, abiding ways. Hope you had a good Lord’s Day, as well. Related to the short introduction…In the introduction, Bridges said, “As Christians…our identity is to be found in our relationship with Christ, not in our subjective and often negative life experiences.” Why do we base so much of our identity in these things rather than who we are in Christ? What benefit do you think it will give to answer the question, “Who am I in Christ?” Why is that important? Related to chapter 1 I Am A Creature:Why would being a creature, created in God’s image, be an important starting point for our discussion of who we are? In describing how, as creatures, we are utterly dependent, Bridges noted that we are dependent for: Food, Life & Breath, Plans, Abilities. Which of these stood out to you, why? How are you guilty of not being dependent upon God for everything? How does realizing that we’re physically fragile help our being dependent upon God? Have you ever heard the saying, “Pride goes before a fall?” How does this relate to being spiritually vulnerable? Why is this so important for our dependence upon God? Why do we so easily reject our moral accountability before God? Bridges encouraged 2 applications in light of this chapter: humility and gratitude. What other applications does this have for our lives?